Our New Zealand government has defined a Smart Meter as “An electronic meter that can record more regular and more accurate electricity consumption information and has two-way remote communication capability”. The above video clip is a trailer for Josh de Sol’s award winning documentary, ‘Take Back Your Power’. (More information on this documentary and how you can obtain it further down the page. If you live in the Rangitikei I have a copy for loan). I just wanted to report that a smart meter was installed in our house three years ago (in the garage under my bedroom). I suffered intermittent bout of irregular and fast heart beats, especially during the night, four cardiology reviews, treadmills echoes .. No answers…. The modem in the smart meter* was deactivated five months ago, and we hardwired our computers … No more heart problems !! In my view the smart meter had everything to do with my symptoms. For further information regarding New Zealand’s Smart Meters visit: http://www.stopsmartmeters.org.nz This site will keep you up to speed with latest developments here including how to avoid getting one. The level of radiation emitted from NZ Smart Meters is addressed in articles by Paul Waddell at the Organic NZ website. People (myself included) find that the power companies will advise NZ meters are different and emit very little radiation, something akin to a mobile phone or microwave oven. Paul Waddell who is certified in EMF testing disputes this. In addition, as the documentary Take Back Your Power illustrates, the number of times the meters transmit per day far exceeds what the public is being told. Further information regarding acceptable levels of RFR in NZ, you can watch a presentation by Environmental Lawyer Sue Grey, (LLB [Hons], BSc Microbiology and Biochemistry, RSHDip PHI) about wifi in schools (Hastings NZ, August 2014). A mother herself, she provides very balanced and professional information that will allow you to make your own informed decision on this. Although power companies are telling their customers they will eventually have to have a Smart Meter, be aware there is no legal requirement that they do. The only legal requirement is that the meter they do have is up to date and certified. It is becoming more difficult now however, to get Smart Meters removed once installed. A year ago I had my Smart Meter in a rental property replaced with a digital meter (non-Smart, beware though some digital meters are Smart) however the same company that removed it then … at a comparatively low cost of $90 at the time (other quotes were as high as $140) is no longer removing them. I have heard now of two companies charging $162 for lodging a request for the meter owners to remove the chip or modem (not the entire meter) with no guarantee that the company will remove it anyway. I have also heard reports of power companies calling and writing repeatedly to install Smart Meters in spite of customers giving written notice they do not want one. Another company I have just heard, is refusing to remove a Smart Meter from a Rangitikei home, even though it was installed under the false claim that the customer had to have it. Many consumers are giving notice to their suppliers stating in writing that a Smart Meter is not to be installed. 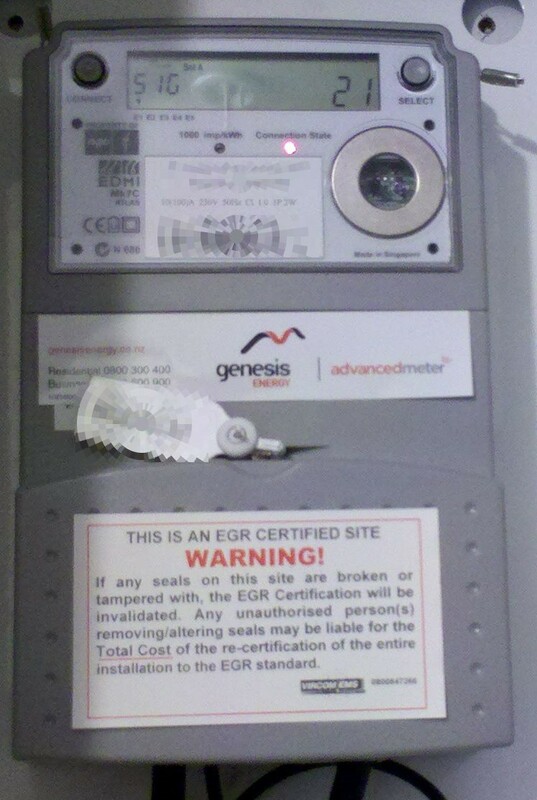 It is advisable to place a notice on your meter box indicating you do not want a Smart Meter, and/or installing a padlock in case of any miscommunication. Consumers in other countries have been purchasing their own certified analogue meters, hiring an electrician to install them then locking up their meter boxes. I do not know if this has been done in NZ and am not as yet aware of the legalities of that, however it is an option worth researching at least. Some of the symptoms from the radiation emitted by wireless Smart Meters may be: headaches, dizziness, short-term memory loss, a fuzzy head, irritability, itchiness, aches, sleep disturbance, digestive problems, heart-rate changes, and many more. (From Electrosensitivity UK). The latter site provides an excellent downloadable ebook on ways to protect yourself from RF Radiation. With compelling insight from whistleblowers, government agents, lawyers, environmentalists & doctors, the award-winning Take Back Your Power takes us on a journey to expose corruption and erosion of rights in the name of “smart” and “green.” What you’ll discover will surprise, enlighten and empower you. Video: or watch the trailer for ‘Take Back Your Power’. VIDEO: ‘NOT FOR PUBLIC RELEASE’ (you are not supposed to know this). This video describes the discovery and subsequent history of frequencies and how much information is being kept from the public. A must watch to understanding EMF issues. It would be interesting to see what telco towers might be near coastal Papakura and Takanini . . . if any. Thanks FC, I hadn’t seen that one. Yes sounds like towers doesn’t it? I have a copy of this important & informative documentary available to borrow ....to do so, please contact me via the contact page. "‘What is the evidence that smart meters are safe and have no adverse health effects?’ ... the answer to that question is that there is no such evidence ..."
“Internationally acclaimed digital technology engineer Dr. Timothy Schoechle says: The smart meter is a canard—a story or a hoax based on specious and grandiose claims about energy benefits ostensibly derived from the promise of “two-way” communication with the customer. There is essentially no possibility that most smart meters or meter networks will lead to greater sustainability.